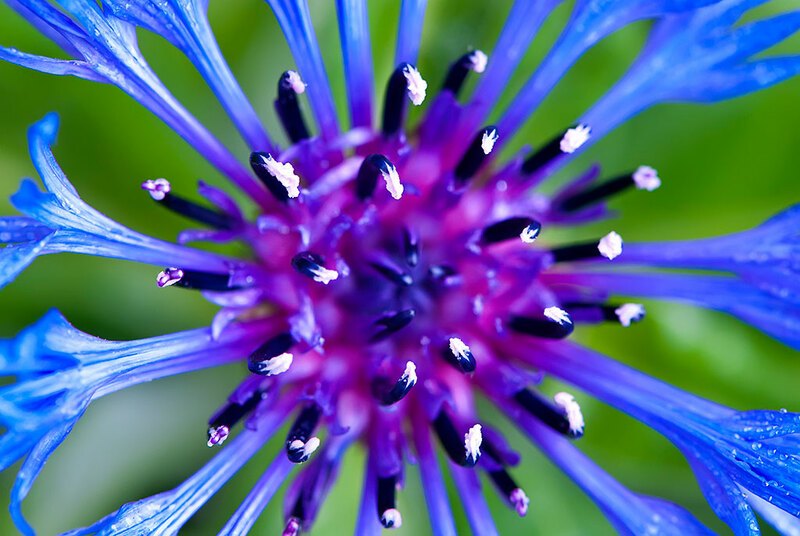 Cornflowers (Centaurea cyanus) are also known as Bachelor Buttons (or bachelor’s buttons). They bear flowers in large quantities, in shades of lavender, pink, blue, maroon, and white. But photos can be deceiving. When I first started to grow cornflowers, I was surprised by how small the blossoms were (they’re no more than 1.5 inches in diameter). The petals are slightly jagged, which I find delightful in a whimsical sort of way and so different from, say, the cool perfection of roses (also among my favorites). This slightly wild quality also means that Cornflowers look wonderful in cottage gardens, rock gardens, and meadow gardens. They always remind me of the trip I took to visit gardens in the Cotswolds, in England. You can easily grow them from seed just by scattering them on the soil. The seeds are frost-tolerant, so you can plant them in early spring and in the fall, where the winters are mild. Their nectar is especially sweet and will attract beneficial insects and small birds, such as goldfinches. If you have rabbits in your yard, be prepared: they love to eat them, too. Finally, if you’re a fan of Twinings’ Lady Grey tea (I am! ), you’ll be tickled to know that cornflowers are one of the ingredients — as well as lemon, Bergamot, and Seville orange. >>For a great article about how to care for cut flowers and foliage, check out the article by the University of Illinois Extension Service. SEASONAL DETAILS: Cornflowers bloom from late June through August, but this extended time depends on your deadheading them. Do you grow cornflowers? Got some tips to share?